Some games are made to evolve, others happen upon their fated path by chance as a wildly popular spin-off or an alternative game mode that was better than the original. While the internet pretends to lose its mind over the possibility that Call of Duty is about to abandon its Campaign mode, here are more great examples of when games threw caution to the wind… and it worked. 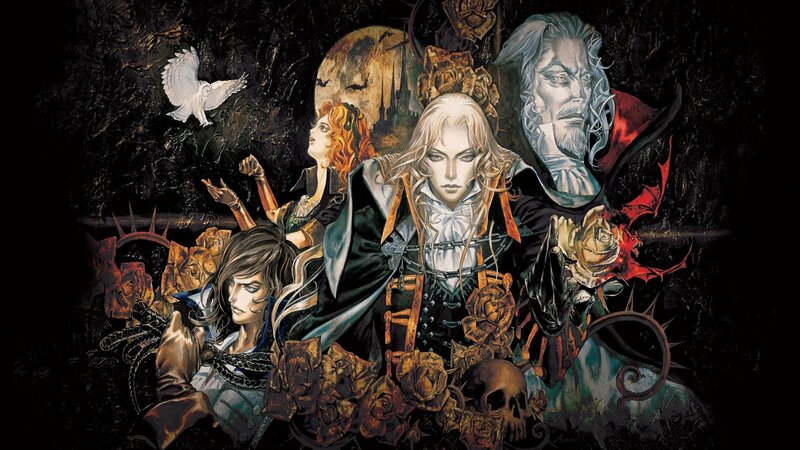 Konami’s side-scrolling, skeleton smashing, vampire hunting saga had been doing the same thing but with marginally better graphics for an eternity. The series had reached a plateau with Super Castlevania IV for Super NES in 1991, and was running low on mysterious magic. So, in 1997 game director Koji Igarashi took a couple of leaves out of Nintendo’s illustrious history of puzzle-oriented quests, most obviously Metroid, to construct a Gothic video game masterpiece with exploration as one of its core themes. Thus, the first ever Metroid-Vania experience was born, and it was beautiful. Sadly, it has never been bettered, nor equaled. Nintendo’s seminal side-scrolling, space-faring missions starring the – shock horror – strong and female protagonist Samus Aran arguably didn’t need shaking up, but Nintendo EAD and Retro Studios did so anyway… and how. 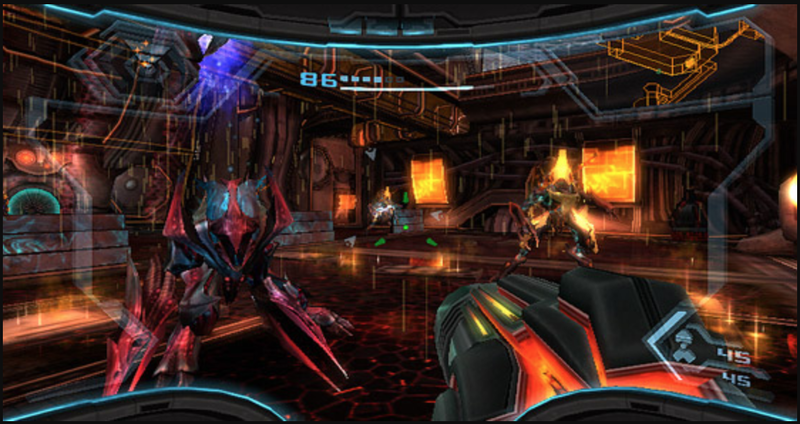 We remember seeing the early teasers for Metroid Prime at the reveal of GameCube at Nintendo Space World 2000, with our friends from the development community freaking out over the sturdiness of the visuals. However, the true delight was finding that the experience adhered to the bulletproof design structure of the 2D originals while presenting a mesmerizing new 3D universe to explore. Just incredible. SEGA had this wonderful series of what you might call old-school RPGs that originated on the Master System in 1987. It was – we dare say – sci-fi Dragon Quest, taking many of its design cues from the all-conquering Enix adventure released a year before. Really, we have no recollection of seeing Phantasy Star Online coming, but when it landed on Dreamcast in 2000 (2001 in the West), our minds were completely blown. Bearing in mind that this was still the era of dial-up modems with max speeds of 56k, we took our first steps into a fully-fledged shared-world shooter, years ahead of its time – elegant as it was jaw-dropping. 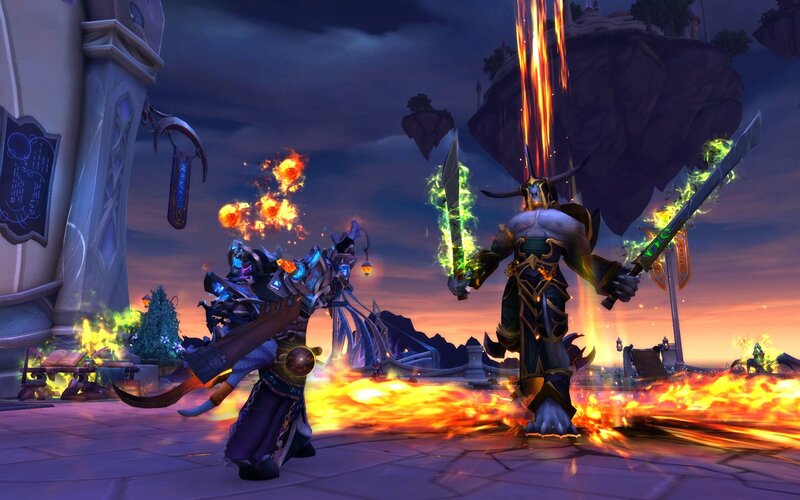 There’s no doubt that World of Warcraft is by now synonymous with the term MMO, as though Blizzard conjured such a thing into being. Actually, we were all hooked on this thing called EverQuest (a.k.a. ‘EverCrack’) many years prior to stepping foot in Azeroth. There was also Richard ‘Lord British’ Garriott’s successful adaptation of Origin’s Ultima series of RPGs, Ultima Online, offering its own very compelling, perpetual other life to lead. Blizzard’s true genius, however, was in realizing much wider potential for its universe that had served so mightily as a real-time-strategy series. WoW mainly perfected the MMO formula in 2004. Among the many good things that Xbox has done for gaming, Turn 10 Studios’ tribute to performance car aficionados was a stand-out moment in 2005. Who knew that the series had even more potential, with some lateral thinking leading to the development of spin-off series Forza Horizon in 2012. Original Forza was elbow deep, under the hood, with attention to detail approaching fetishist proportions. Forza Horizon, as the name implies, looked the other way, to the dream of the open road – the view outside the windscreen, with your foot on the accelerator, and kudos to be gained from so many hours practicing behind the wheel. We thought we had it all figured out in 1992: shoot-’em-ups gonna shoot; puzzle games gonna puzzle; platform heroes gonna run and/or jump, and sometimes shoot; racing games had fast cars and freeways or some resemblance to Formula One. Then Nintendo burst forth with Mario, Peach and Bowser driving go-karts and, honestly, the idea seemed so ridiculous. One race in the Mushroom Cup was all it took to convince anyone we knew that our weary outlook on video games needed a serious rethink. 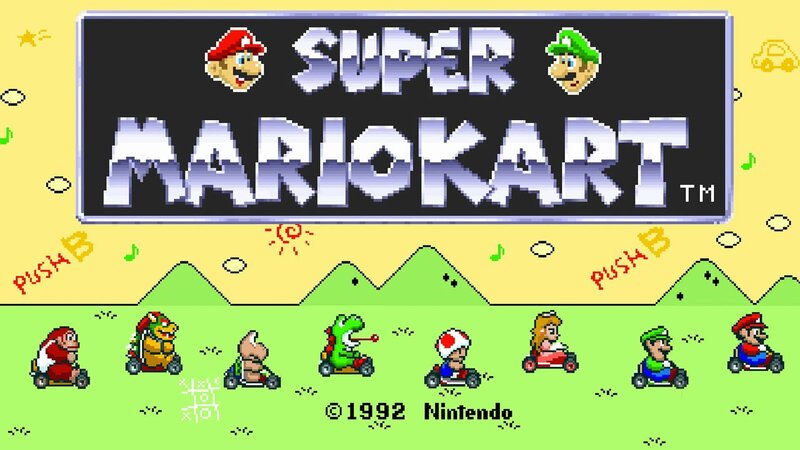 Super Mario Kart was perfect – PERFECT: insane handling, hilarious/maddening weapons, spectacular music, and ridiculous shortcuts. 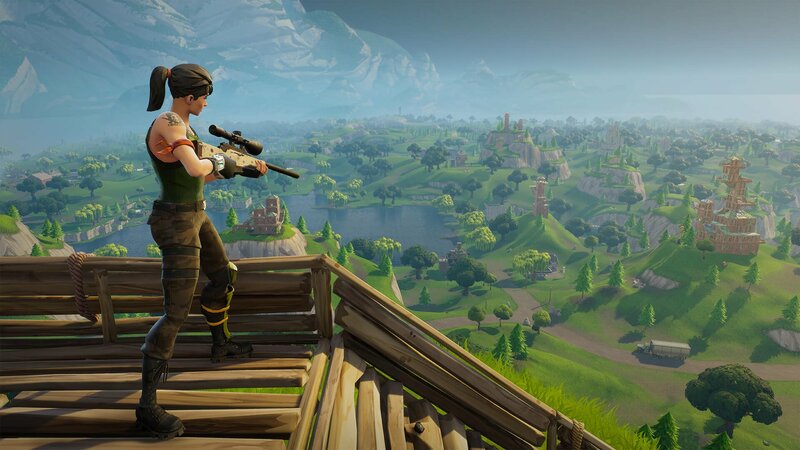 Epic Games is currently clutching the reins of a runaway train called Fortnite Battle Royale. Some of you may have heard of it. In 1998, Epic had this energized variation on the ‘corridor shooter’ called Unreal. It was well received. Epic could’ve made Unreal II. Instead, the studio went for the rough-neck jugular with Unreal Tournament, an arena-style FPS so OTT it gave its closest rival, Quake III, a run for its money that few could’ve foreseen. UT’s timeless take on Capture the Flag was enough to keep internet café’s in good shape almost all by itself. 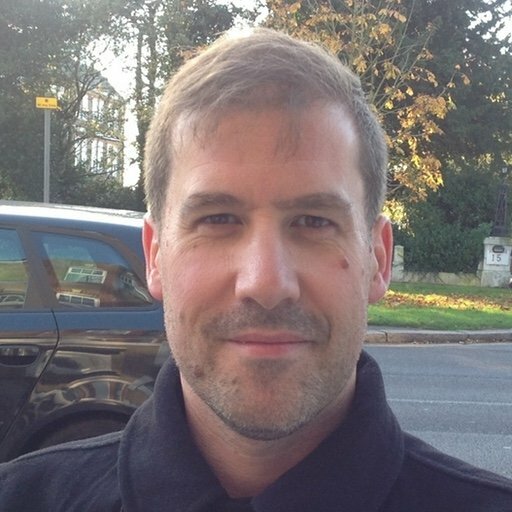 It forged careers for Clifford ‘CliffyB’ Bleszinski (Gears of War) and James Schmalz (Warframe). Hands up everyone that’s playing Fortnite because it is one hilarious co-op sandbox survival game about zombies? Yeah, thought not. Fortnite Battle Royale is where the action is at right now, and not just because there’s no charge for entry. That is, you can choose to purchase tower-defense style PvE Campaign packs from Epic Games if you’d like. For some reason, most people are choosing this FREE fast-paced, 100-player PvP mode instead. Epic Games and People Can Fly have hit the jackpot with Fortnite BR. It’s a masterclass in community management as much as anything else, built upon those player-focused principles that stretch way back to Unreal. Finally, anyone wondering if Call of Duty is about to lose its way should remember that this decorated-beyond-belief veteran of the FPS genre learned how to choose its battles a very long time ago. Up until 2007, we had come to recognize CoD as a blockbuster World War II franchise. It was Saving Private Ryan, A Bridge Too Far, Kelly’s Heroes and all that cinematic jazz. The gameplay, especially the multiplayer, catered chiefly toward the PC crowd, where it clashed with Counter Strike. The switch to a modern military theme, and console-friendly PvP, launched Call of Duty into the stratosphere, from where it has looked down ever since.